It’s not everyday you have guests over from the White House. Last weekend, however, Young Chefs was lucky enough to have Bill Yosses, former white house pastry chef, come visit us in Northfield, MN. In addition to meeting all the Young Chefs staff and volunteers as well as hosting two large campus events attracting more than 400 people, Bill taught a class at the local middle school for our Young Chefs kids. During the one-hour class, he made a deliciously quick chocolate mousse, talked about polymers and foams, and also shared some of his stories from working under Mr and Mrs Obama. Our Young Chefs have been talking about it ever since! 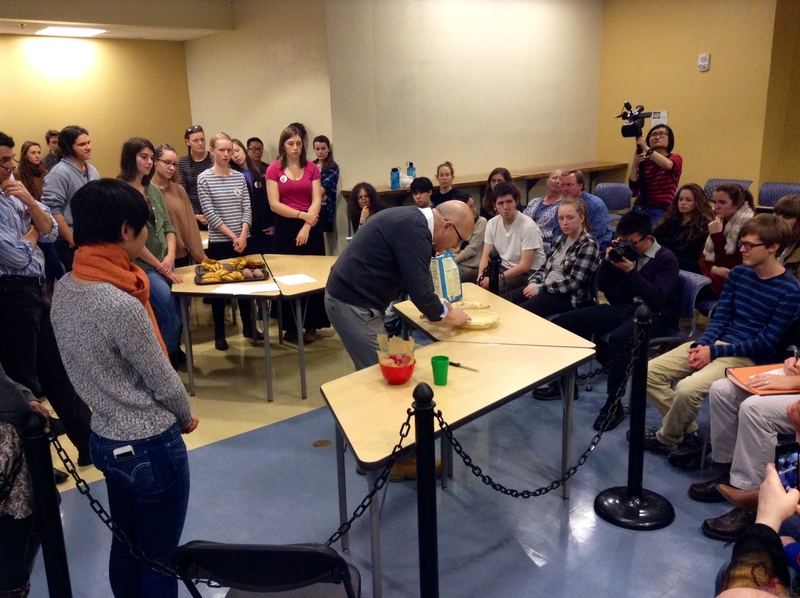 Bill teaching a baking class for over 150 college students and faculty, many of whom are involved in Young Chefs. 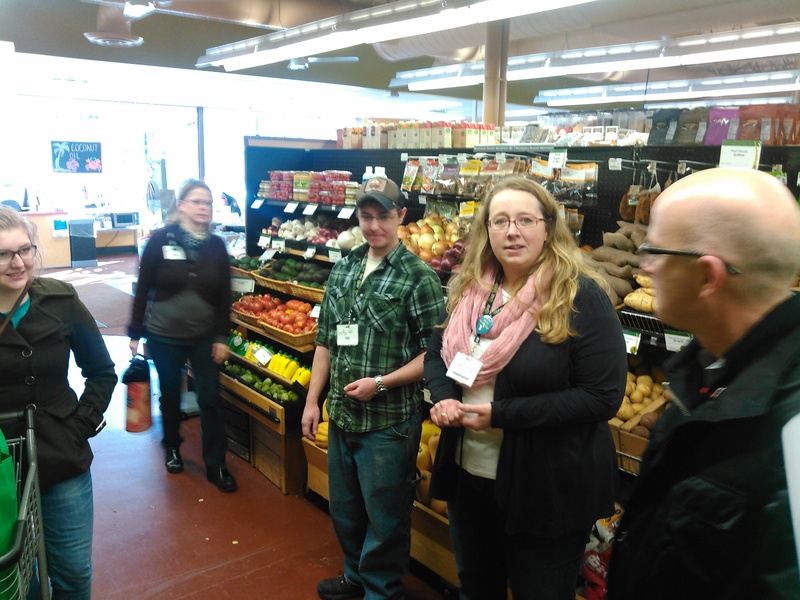 Visit at the local JustFoods coop, a crucial Young Chefs partner and one of the main sponsors of the visit. 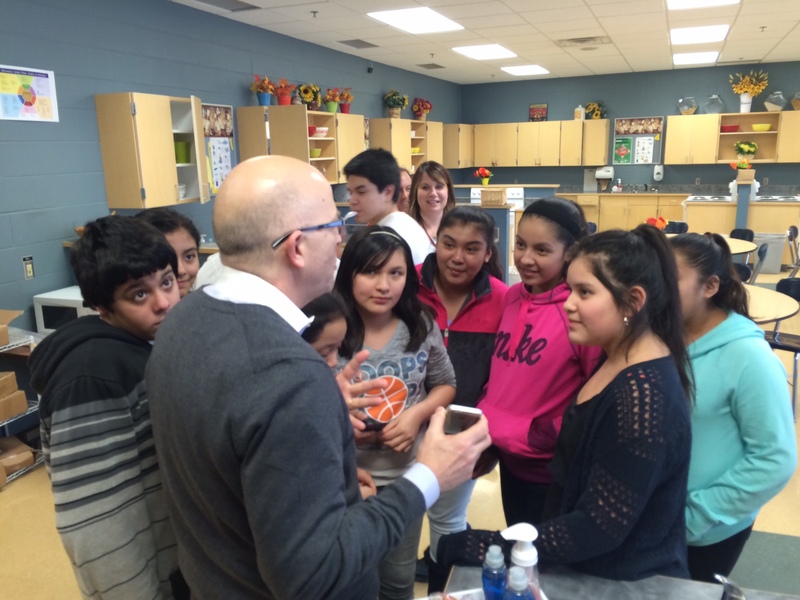 Hanging out with the Young Chefs in Northfield, MN! Fun, informative and engaging: thanks, Bill! A fun lunch meeting involving the Young Chefs volunteers, students, and staff.